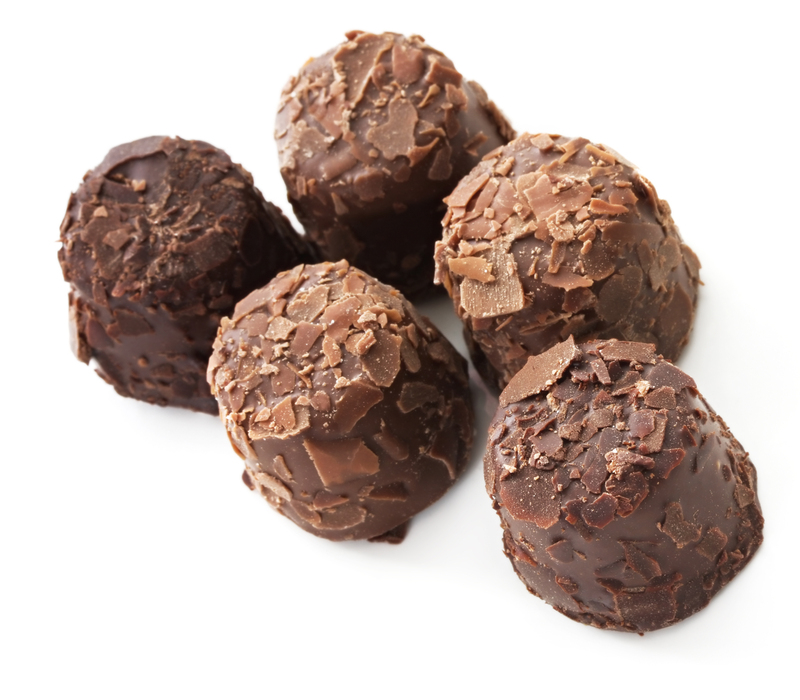 When people think of a chocolate truffle, they associate it with culinary luxury, and for good reason…. That’s because a truffle is a true delicacy. 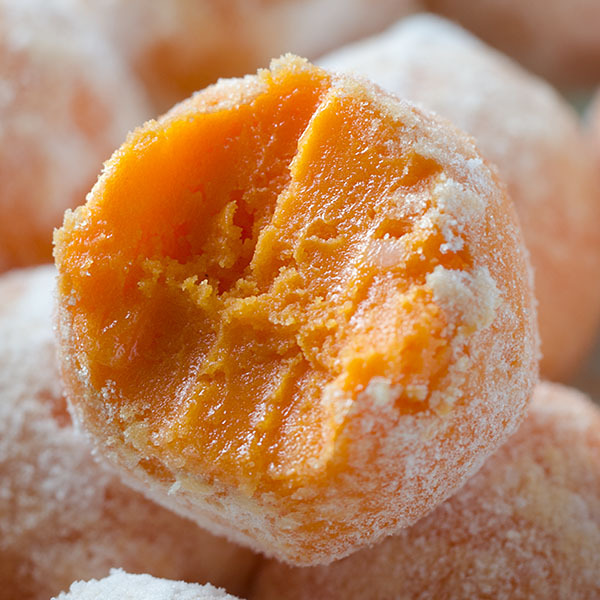 Thought to have first been invented in 1895 in France, the name derives from their traditional shape, which resembles the truffle, an edible part of the tuber fungus. According to legend, French patissier Louis Dufour came up with the idea for chocolate truffles on Christmas Day 1895 in Chambray France. When Louis Dufour ran out of ideas for Christmas treats he could make to sell to his customers, he decided to try something different. So he made up a batch of ganache, shaped it into a round ball, and then dipped it into melted chocolate. He then rolled the chocolate-covered ganache balls in cocoa powder. Today’s truffles vary greatly, but in the past they weren’t considered a true chocolate truffle unless they were filled with ganache. What exactly is ganache you ask? Well ganache is a glaze, icing, sauce, or filling for pastries made from chocolate and cream. Ganache is normally made by heating cream, then pouring it over chopped chocolate of any kind. The earliest known authentic recipe for chocolate truffles, or at least that can be documented shows that a chocolate truffle is made by dipping “a plain vanilla cream, one as small as possible in milk chocolate coating, then before the coating dries, roll each piece in macaroon coconut so that the coconut sticks to the chocolate.” His next instruction was to allow the coconut covered chocolate vanilla cream balls to dry on a piece of wax paper. Today we have taken the basic chocolate truffle and gone completely crazy with it. They now come in all varieties including chocolate chick cookie dough, candy cane oreo and even white chocolate lemon truffles. The only thing that has remained consistent and that defines it as a truffle, is the shape, but even that can vary slightly. All we can say is that if it looks like a truffle and tastes like a truffle … enjoy it … because hey, it’s a truffle!